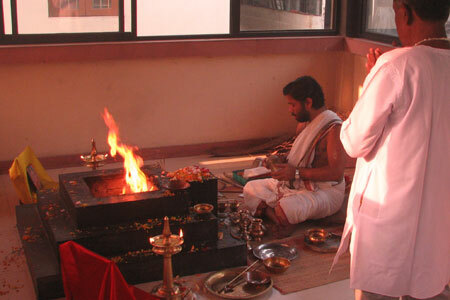 The 4th Brahmasthan Pratishta Mahotsav was celebrated here in the presence of Br.Nijamrita and Vijayamrita Chaitanya . There were several programs from dawn to dusk the day started with Ganapathy and Shivashakthi homa followed by vilaku puja, Mrityujaya homa, Uma maheswara puja, satsang, bhajan, arati and annadanam. The after noon program started with pension distribution followed by vilaku puja, satsang, bhajan and arati. The devotees attended all these functions with devotion and in large numbers. 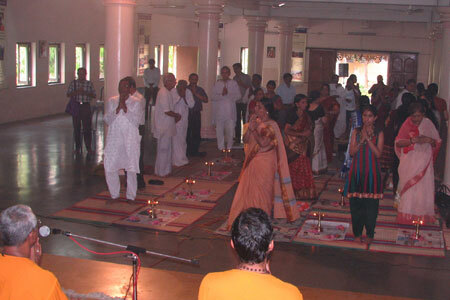 The environment was charged with vibrations of the mantras, emanating peace and joy in the hearts of all the attendees.